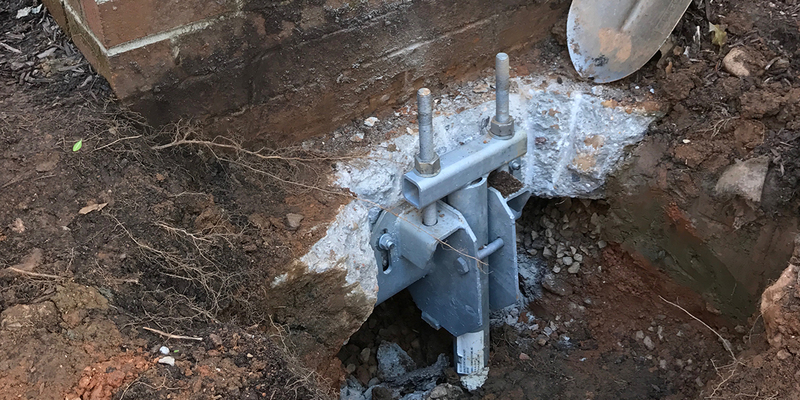 Abby Construction utilizes Helical Piers, which are effective via an independent installation that doesn’t rely on the weight of the structure for stability. Contact us to learn more about our foundation repair techniques and to schedule a free estimate for your foundation repair. 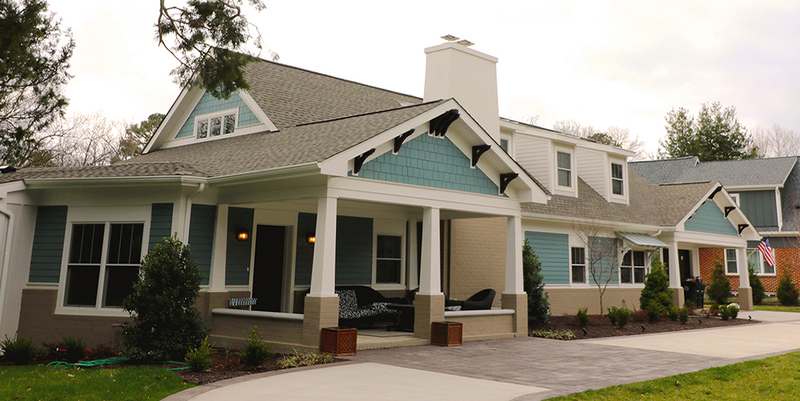 Abby Construction has decades of experience with residential foundation construction and repair. 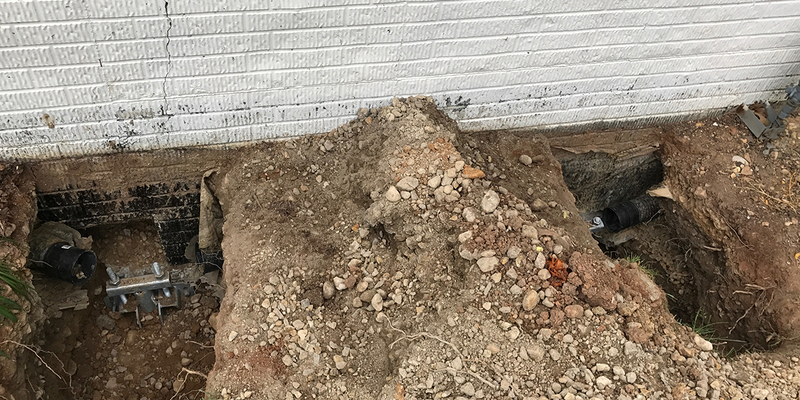 Unstable soils (especially in Virginia), extreme moisture and poor drainage can adversely affect the integrity of a home’s foundation. These issues cause foundations to sink or crack, basement walls to bow and floors to shift unevenly. 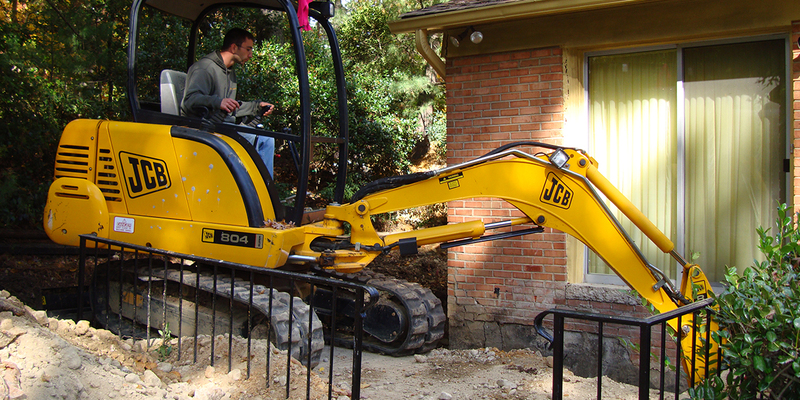 Abby Construction has been a trusted resource for residential foundation construction and foundation repair using A.B. 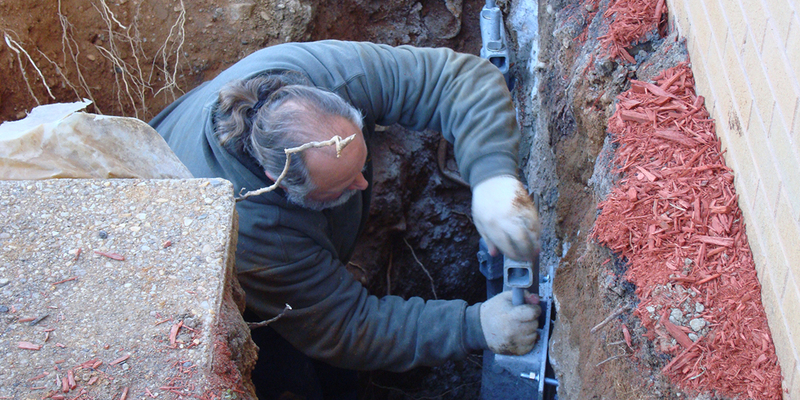 Chance Helical Piers for foundation repairs in Fredericksburg and the surrounding community. Abby supports and utilizes The Reinforcer Foundation Wall Stabilization System by Fortress Stabilization Systems to support and repair concrete walls. Does your home's foundation need some support? The Helical Pier Foundation System is intended for use as foundation underpinning in undisturbed soils. Our team will inspect your home and foundation in order to determine the repair option that best fits your structural needs. All foundation construction and repair projects from Abby Construction come with a Limited Lifetime Warranty, which is also transferable to a new homeowner (should the home be sold). 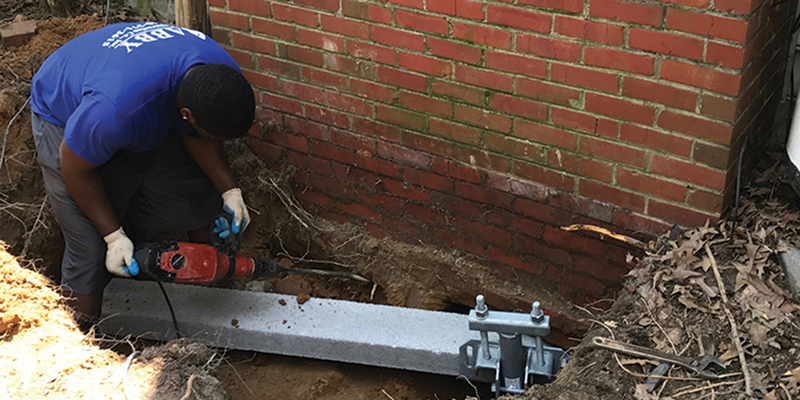 Why choose Abby Construction and the Helical Pier Foundation System for your home’s foundation repairs? Foundation construction and repair isn't just undertaken on the outside of your home. Foundation damage can cause interior basement walls to become bowed, cracked or unsightly. Horizontal cracks in basement walls and bowing basement walls are long-term results of poor soils underneath the foundation systems. Many homeowners would be surprised to learn the enormous amount of force supports by a typical basement wall: there can be as much as 2600 pounds of pressure per linear foot in sandy, water-soaked soil (assuming an eight foot wall). Fortunately for homeowners, Abby Construction uses the StrongHold carbon fiber repair system solution. StrongHold Carbon Fiber Reinforced Polymers (CFRP’s) provide the required additional tensile force needed to fully develop the compressive strength and create a “balanced” situation within the wall to prevent further bowing and cracking. Why is Abby Contruction’s A.B. Chance certification so important? Abby Construction Co. Inc. is part of the Walder Foundations Products dealership network. The A. B. Chance Company requires contractors to be certified by Chance Company Instructors for installation of the Helical Piers in underpinning applications. This requirement is in accordance with the Chance Company’s quality assurance program as outlined by the International Standards Organization (ISO) 9001, Certificate No. 001136. The Chance Company commitment to quality controlled product and quality controlled installation is your assurance of a job well done. No other piering company requires such quality assurance from product to installer. If your foundation or cracked wall issue was caused by a plumbing leak or other serious issue, your insurance company may cover the cost of repair or offer assistance. However, most foundation issues have been creeping up over time due to poor soil, drainage or initial construction and are not covered by insurance. At any rate, it’s important to get your free inspection so we can determine the cause and type of repair you need. Do Helical Piers need to go very deep? How much load do they support? 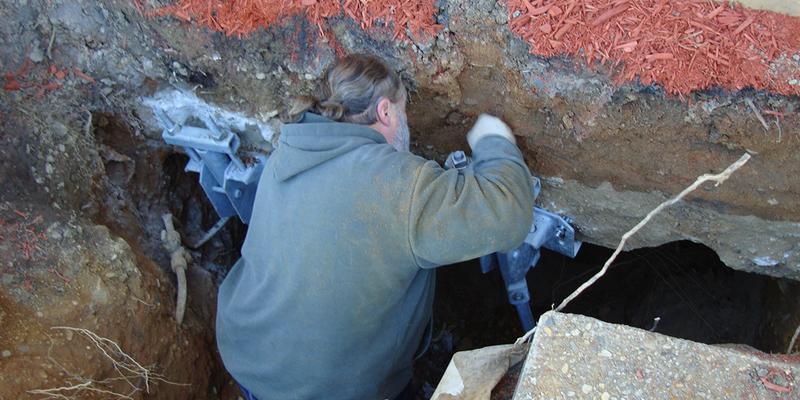 In Central Virginia our Helical Piles are generally 15′ to 20′ deep. Piers need to be deeper than the active zone of the soil. The zone of seasonal wetting and drying is known as the Active Zone of the Soil, and in Central Virginia is approximately the top 6′-7′. Helical Piers need to use the depth for achieving torque. This twisting and turning of the system to the depth needed will be specified on the plan of repair from your A.B. Chance and Stable Foundations engineer. We measure torque to install the helical piers. Torque is a direct relationship to the amount of load the helical pier will support. We install our piers to a minimum Factor of Safety (FOS) of 2. This means that each pier will hold a minimum of twice the load that is required. If anything changes the helical piers will more than compensate with this additional FOS. 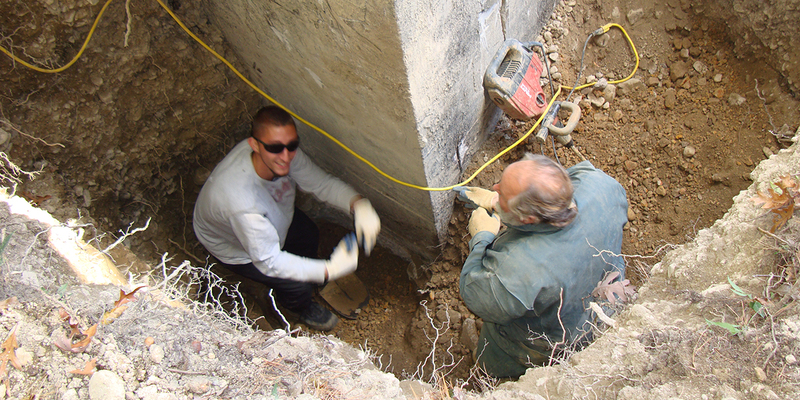 Other foundation repair methods use the weight of the house to install the piers. This results in a FOS of 1.